Regulatory Authority of Electronic Media (REM) and of public media services independence and transparency, the resolution on the status of the remaining publicly owned media, transparency and regulation of budget given to media, as well as media pluralism, were subjects discussed at the consultative meeting that BIRN, NUNS (The Independent Journalists’ Association of Serbia) and the Slavko Ćuruvija Foundation organized with representatives of local media, organizations and institutions in Nis. Although all representative media associations withdrew from the working group of the Ministry of Culture and Information that drafts the text of the new Media Strategy, through these meetings representatives of the three organizations are collecting recommendations for the development of this document. As they announced, the recommendation document will be handed over to a working group that creates a new Media Strategy. 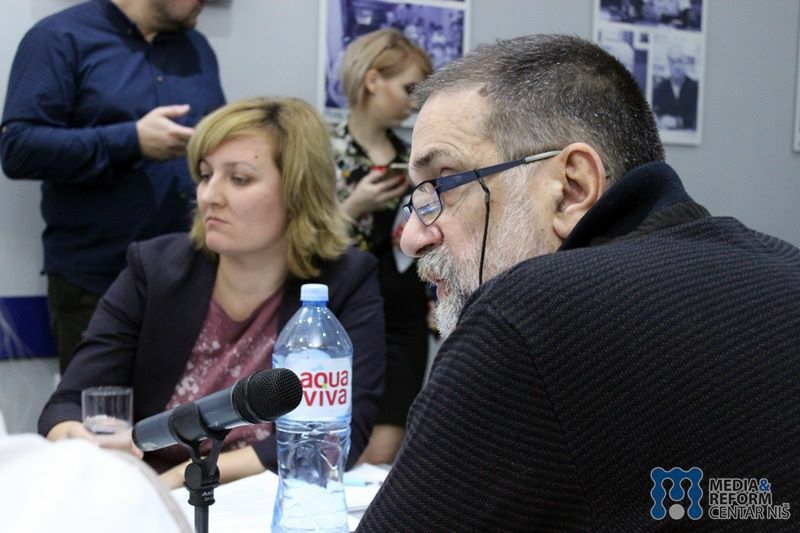 According to the owner and editor of the recently closed weekly Vranjske Vukašin Obradović, the new Media Strategy should not repeat the mistakes from the previous one. Therefore, he stresses, it is crucial to make an analysis of everything that has happened in the past period in the media sphere. One of the problems of the previous Strategy, Obradović explains, is the inadequate enforcement of existing legislation. “There is no ideal legislation, unless there is a political will for applying legal norms,” Obradović said. The New Media Strategy, he explains, should make all actors on the media scene equals when it comes to financing, the state’s attitude towards media, and media competitiveness on the market, which, he notes, practically does not exist at this moment. During the meeting, it was also stated that the civil sector should be involved in the process of drafting the Media Strategy. One of the topics discussed was the co-financing of media content, and the participants agreed that it is necessary to establish clearer rules that would help everyone improve this process. “Co-financing media projects is considered by the state as support for specific media, instead of encouragement for the production of media content of public interest. That is not the point of competitive funding,” said Mladen Jovanović from the National Coalition for Decentralization. It was also pointed out that it is necessary to create teams of lawyers who would deal with regulations and legal aspects of media laws. “We propose the founding of a database that will contain all media content generated by citizens’ money,” said Dragan Đorđević from the Human Rights Committee. It has also been said that the entire process of co-financing media content has to be more transparent, and that “citizens should not finance what they do not see”. It was also emphasized that representatives of journalists and media associations should participate in the drafting of the new Media Strategy, which is not the case at the moment. In review, the representatives of Association of Media was first to withdraw from the working group that deals with the development of the draft of the new Media Strategy, then the Association of Journalists of Serbia, and recently the Coalition of Journalistic and Media Associations consisting of NUNS, NDNV, ANEM, Lokal press and Association of Online Media representatives also left. Image courtesy of Vukašin Obradović, Photo: MRCN/A.S.